What have we been doing so far this term? We have had a fantastic start to the term. With many new children at Acorns we have been getting to know one another, with the staff noting children’s interests in order to plan activities for them. On Wilderness Wednesdays, the children have been learning how to keep safe when they are out and about and over the past three weeks we have been blackberry picking! 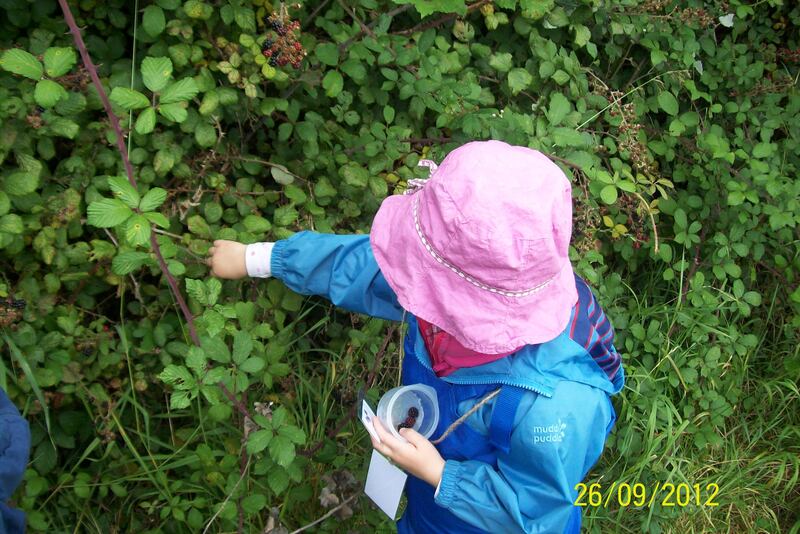 The children have learnt which berries it is safe to pick and which they shouldn’t pick. 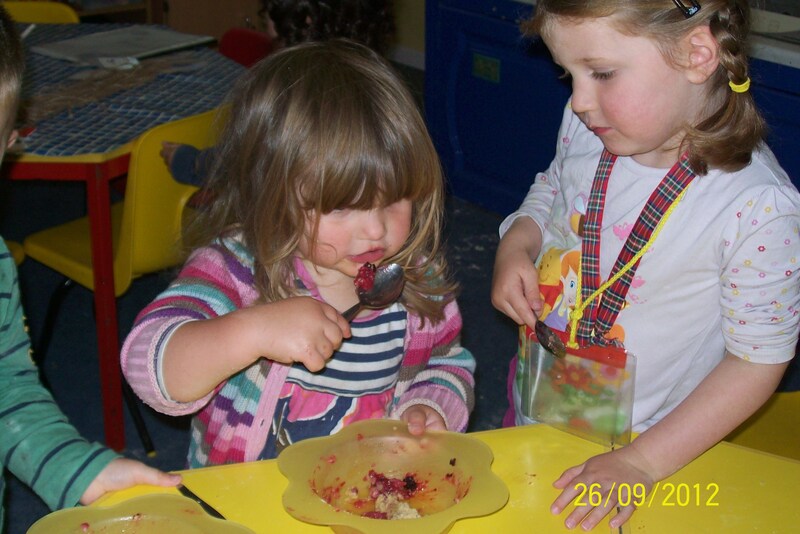 The blackberries have been used to make a special blackberry playdough, which smelt good enough to eat, as well as blackberry crumble, which we could eat and did so as part of our snack.